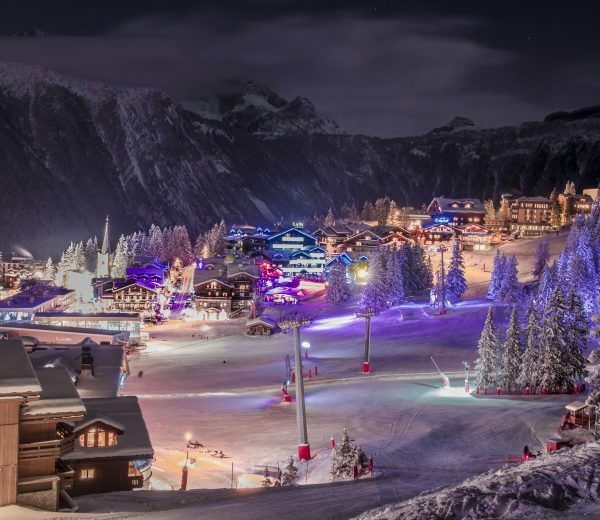 Courchevel comprises of four villages at various altitudes with Courchevel at 1850, Courchevel Moriond at 1650, Courchevel Village at 1550 and Courchevel Le Praz at 1300 metres. 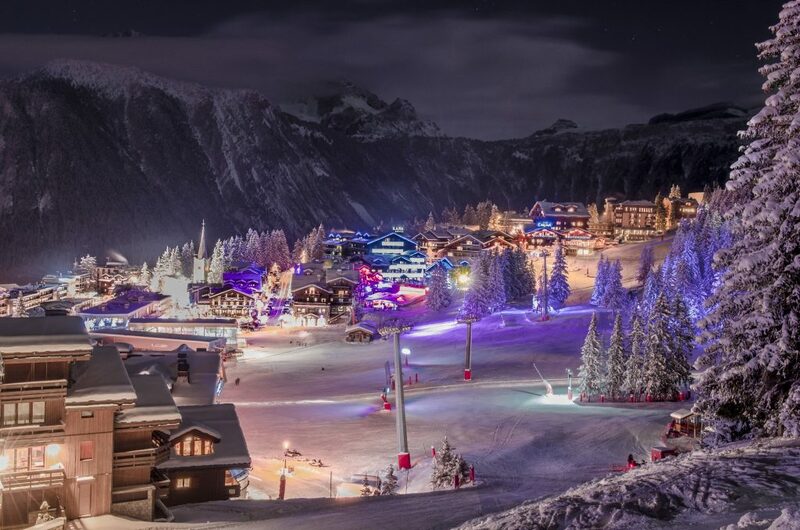 Courchevel at 1850 was the first resort in France to be built from scratch with no village existing beforehand. The area has become one of the most expensive places to visit and attracts a plethora of royals and celebrities from around the world. 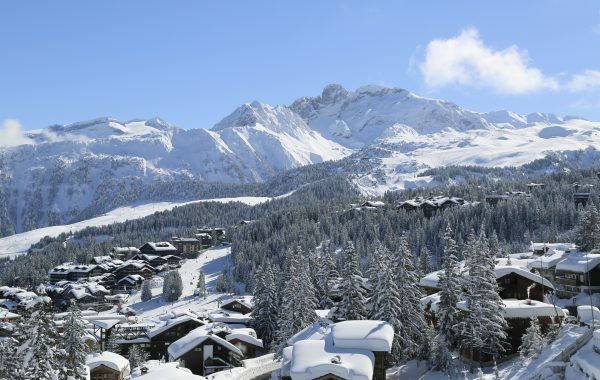 Due to this demand Courchevel now has three of France’s eight 6 star Palace hotels and eighteen 5 star hotels and apparently the most Michelin star restaurants of any ski resort. Of course it goes without saying the the Luxury brand shops are there in spades from Louis Vuitton to Prada and Chanel so make sure you take some extra pocket money. All of the villages sit amongst the trees and are fairly pretty, the ride down to each village is always a pleasure and a feast for the eyes. For non skiers one can take the toboggan run through the woods from 1850 all the way down to Courchevel village at 1550. 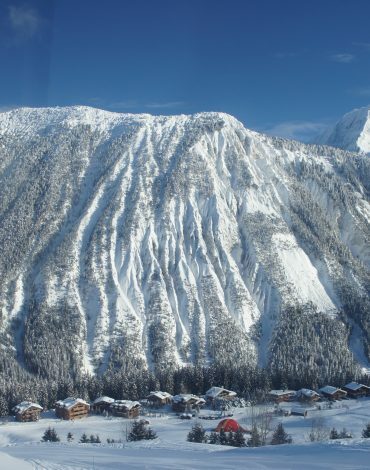 If one was to create the perfect mountain for everyone to enjoy then Courchevel comes pretty close. 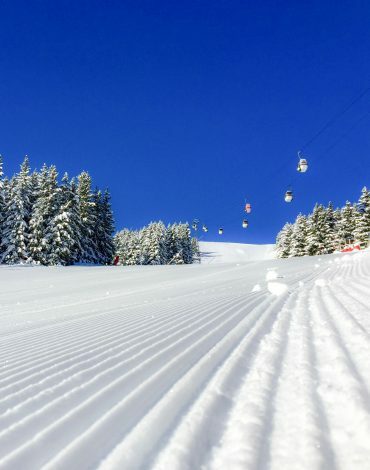 There seems to be a good spread of pistes for all levels, with the easy wooded runs at the bottom and the runs getting increasingly more demanding as one heads up the mountain; with most of the slopes facing the north the snow tends to stay in good condition too. The resort can get busy at peak times of the season. 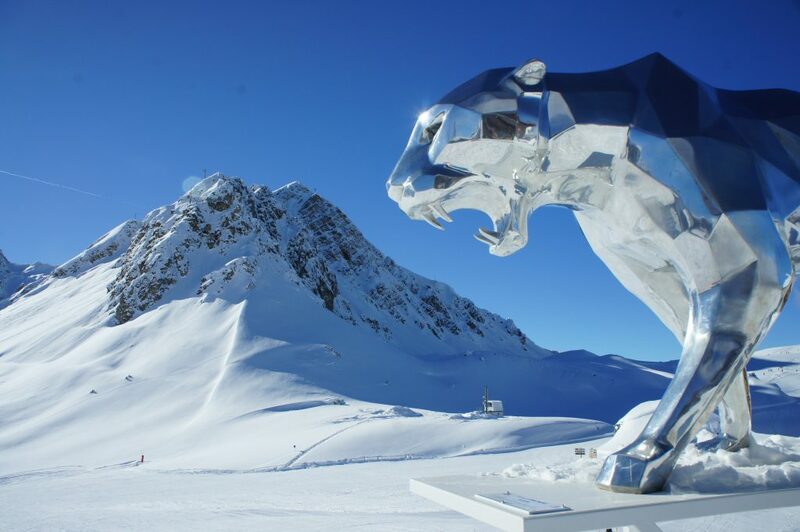 However, Courchevel is well known for its modern and very well run lift system, so queues are usually minimal, If you head away from Meribel to Courchevel Moriond (1650) or down to La Tania the crowds tend to dissipate a little. 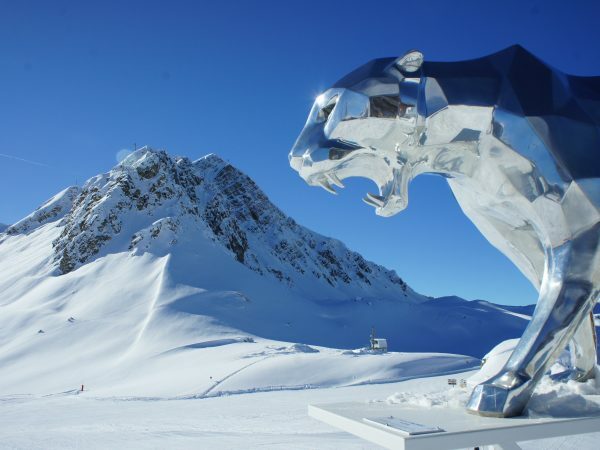 For fantastic views of the surrounding Alps and views across to Mont Blanc, try heading to the summit of Saulire. 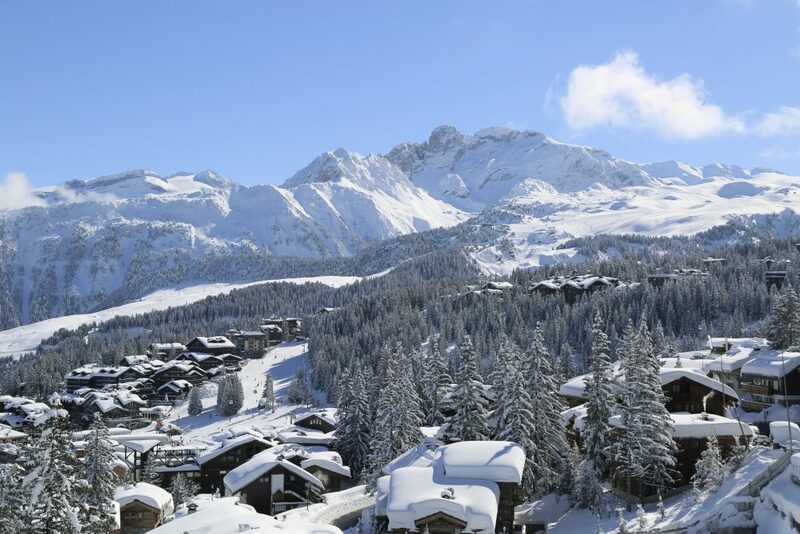 Moriond (1650) and 1850 both have very gentle and wide runs back to the resorts providing much ski in/ski out opportunities, perfect for people at the beginning of their skiing careers. As one progresses through one’s skiing career one can venture higher up the mountain in Courchevel. The pistes a little further up the mountain provide great ‘next step’ runs for the intermediate from long blues to reds like Loze. There are also more demanding reds like Vizelle or Saulire. 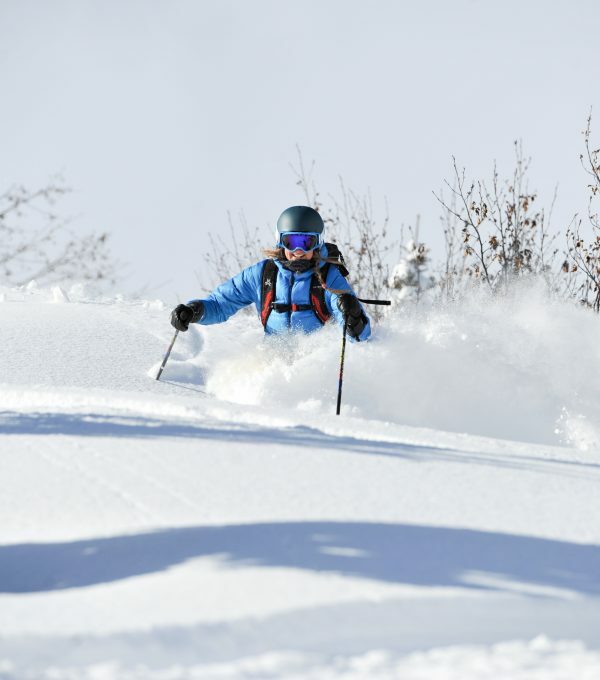 For advanced skiers, head higher up the mountain for the steeper pistes. On bad-weather days head over to La Praz or La Tania for the steep and often hard packed Black pistes hidden amongst the trees. There is a lot of off-piste skiing to be had in Courchevel when the snow is is safe and in good condition. The most famous are the three couloirs from the top of the Saulire cable car, though one of them, Le Grand Couloir and the Couloir Tournier down to Meribel are marked as black pistes and allegedly some of the steepest blacks in Europe! 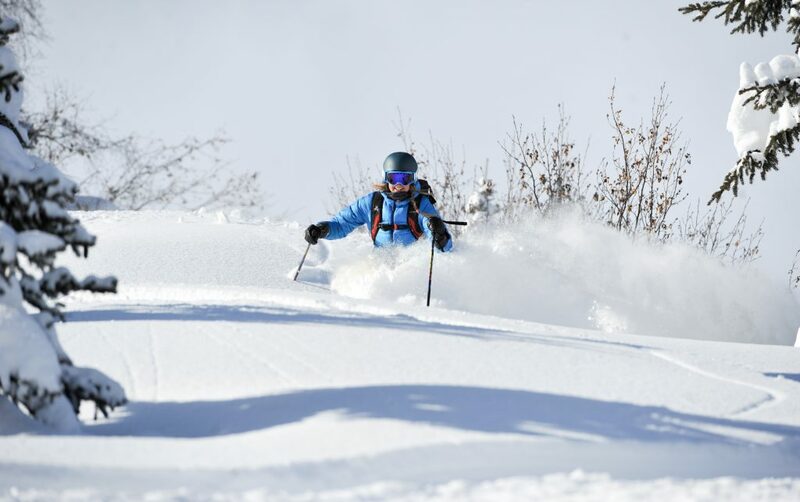 Of course, a mountain guide will show you the best places when there is a powder alert. 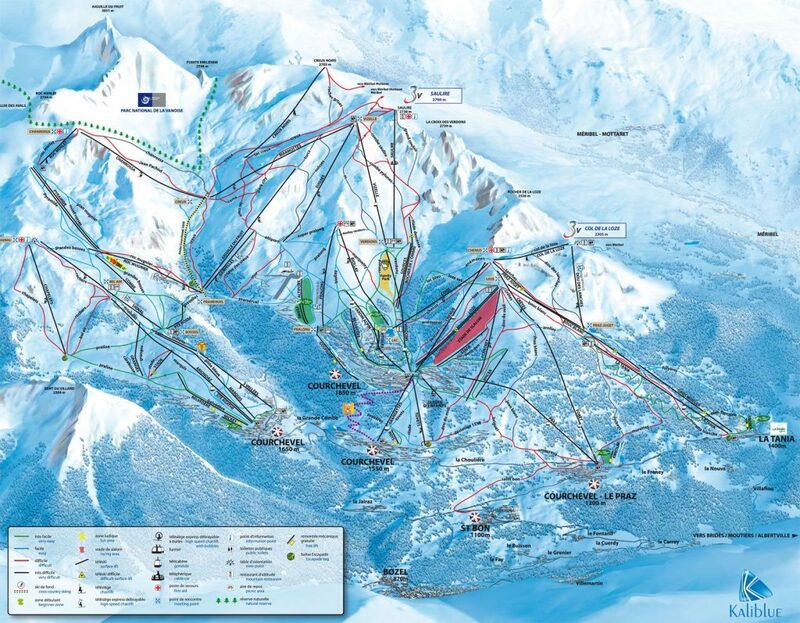 Lift system 58 total – 10 cable cars / 17 Chair lifts / 31 Drag lifts. 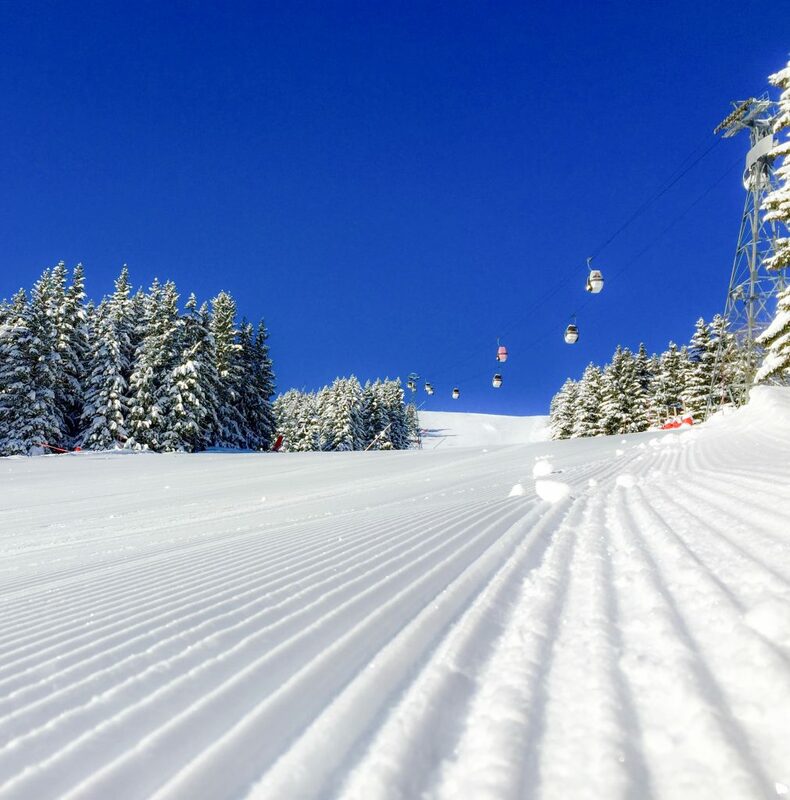 There are too many great pistes around Courchevel to list, but we always enjoyed skiing the likes of the very long Creux. Combe Saulire was always a fun ride and Loze will go down in our history as Cheekie’s first Red run, the best piste to lose your Red Cherry on… so to speak! The pistes are beautifully groomed, and the signage is great, however there seemed to be a lack of maps on the mountain. Careful on some of the greens that return to the 1850, they can get pretty busy, so keep your wits about you. Our favourite and particularly cosy mountain restaurant was La Cave des Creux at 2112 metres, from the top of Saulire, follow Creux and Lac des Creux Ski slopes (blue slopes). 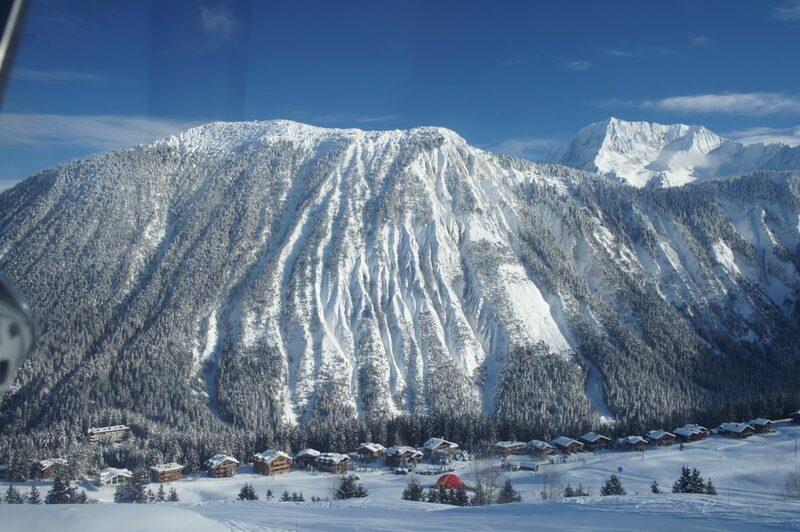 If staying at Courchevel Moriond at 1650 then we can recommend The Manali Hotel.